Last week a Picasso painting sold at the record price of $160 million. The cubist painting “Women of Algiers” was auctioned off by Christie’s in New York to an anonymous buyer for $20 million more than its $140 million pre sale estimate. This news item caught my eye not because I am in the market for expensive art but because I recently returned from a trip to Madrid where I became reacquainted with some of Picasso’s most famous paintings, in particular “Guernica” which hangs in the Reina Sofia museum. While Cubism is only one of Picasso’s diverse styles he is credited, along with the French painter Georges Braque as being the creator of this unique and radical early twentieth century style. 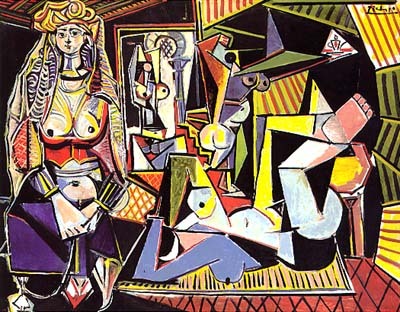 Cubism is influenced by such early twentieth century discoveries as the x-ray and radio wave. Cubists were inspired by these hidden dimensions and sought to portray them in highly unconventional and often disturbing ways. In short, cubists portrayed reality as consisting of multiple angles and dimensions simultaneously. Such art is not to everyone’s liking but one cannot deny the sheer force of its expression. As it becomes apparent to anyone who studies Torah, every passage, verse and even word lend themselves to multiple interpretations. This multiplicity is captured in the phrase “seventy faces” of the Torah. How are we to understand the multifarious nature of Torah? There are two ways of approaching this. One way is to see the multiplicity within Torah as an invitation for each individual to seek the interpretations that best sit with them. Universalists, for example will gravitate towards interpretations with a universal bent while particularists will be drawn to interpretations of a more particularist nature. The same goes for mysticism and rationalism or any other perspective that one come to the text with. This way of understanding the purpose of the Torah’s seventy faces is given expression in the blessing one recites at the very end of the amidah prayer in which we ask the Almighty to give us “our share” in His Torah. 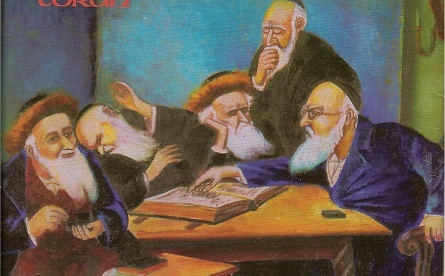 The implication being that each individual has their own particular share in, or perspective on, the multi-dimensional Torah and they are invited to discover it within the vast range of available rabbinic interpretations. But I think there is another, more challenging way to understand the Torah’s seventy faces and that is as a form of intellectual cubism. The Torah’s multiple meanings are not there for us to choose from but rather, as when looking at a cubist painting, to hold in awareness simultaneously. It is too facile to reduce Torah to any particular perspective or outlook. Is the Torah universalistic or particularistic? The answer is it is both. Rationalist or mystical? Again, both. Does the Torah celebrate personal autonomy or conformity? Both. And how could it be any other way? If the Torah is mind of God it must by its very definition contain multitudes. Perhaps this is what the midrash is getting at when it derives the seventy faces concept from playing with the numerical value of wine. A connoisseur of fine wine will tell you that what makes for an excellent quaff is the complexity of flavours all hitting the taste buds at the same time. Cheep wine delivers a simple, easily identifiable flavour. Its in the rarer stuff that one finds complexity. For those seeking simple answers the Torah of seventy faces can be challenging, discomfiting, disturbing even. Yet for those who want to be awakened to new perspectives and broader intellectual horizons, for those who want to glimpse the limitless nature of the divine as it is manifest in Torah, for those who can appreciate complexity, encountering the seventy faces can be truly exhilarating. Shavuot is an ideal time to cultivate an appreciation for this most extraordinary gift. For a Torah that provides so much more than simple instruction and easy answers, but rather provokes, stimulates and seduces those who carefully study her ever changing seventy faces.